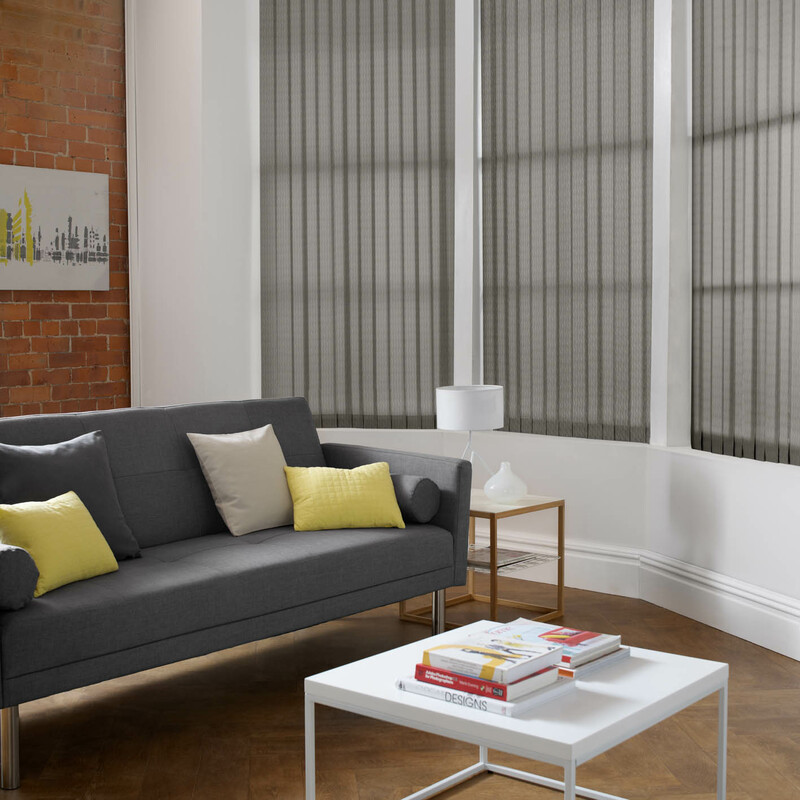 Sales of vertical blinds are soaring in the UK – and it’s easy to see why they are so popular, particularly in the spring/summer months, as homeowners opt for the flexible shading they provide from sunlight. Vertical blinds suit all types of room; while extremely popular in conservatories and sun-drenched rooms, they look classic and clutter free in kitchens, bedrooms and bathrooms alike. We have launched an exciting new range of vertical blind fabrics for 2016, with new designs, patterns, colours and embossed effects. In fact, with more than 280 fabrics in our new Vertical blind collection, homeowners will be spoilt for choice in terms of design and material.… view more. 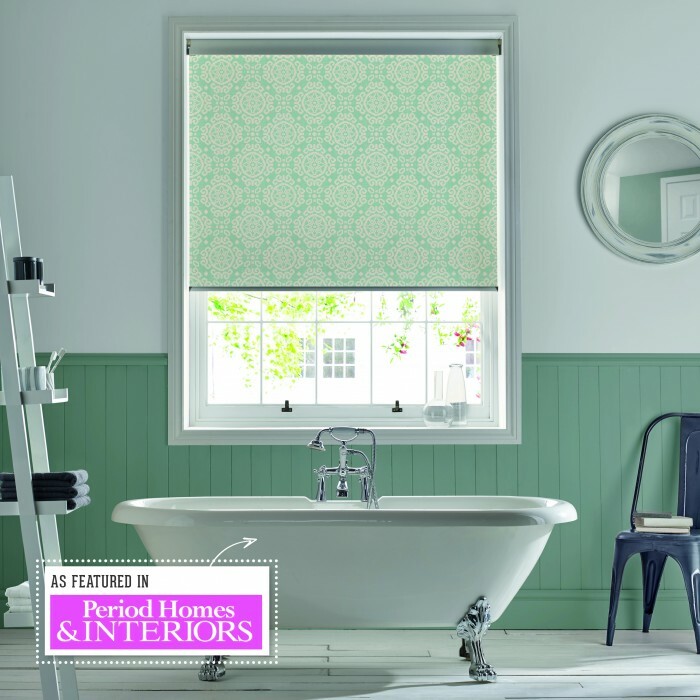 Fall in love with colour and pattern to make your bathroom beautiful and glamorous. 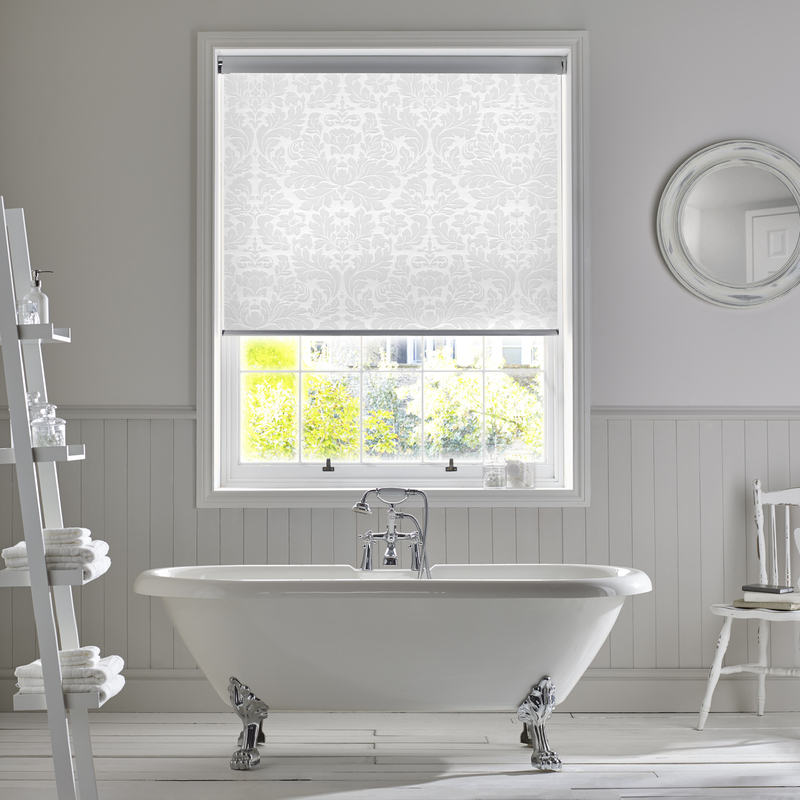 A roller blind can be infinitely adjusted to give just the right glimpse of the view. 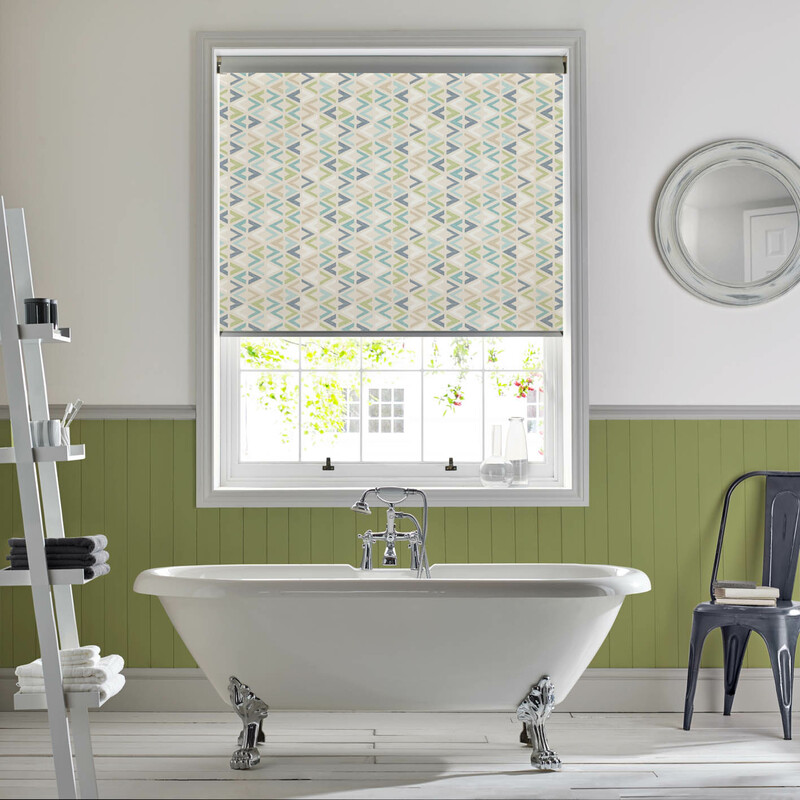 Casablanca blind, Style Studio.… view more. 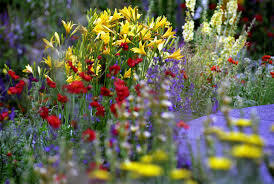 The RHS Chelsea flower Show is a huge event in the British calendar and is fantastic for inspiration in our homes as well as gardens. The beautiful array of floral displays showcase exciting designs and colour combinations that translate perfectly into original and timeless fabrics. From dainty ditsy prints to fine art designs, florals come in many forms and can complement any style of interior. Here’s our pick of the bunch. Yellow is the colour of happiness, optimism and sunshine, so it’s a brilliant addition to homes all year round. When creating our collections, we love to take inspiration from the natural world and the tiny buds of the Mimosa flower (sometimes known as Acacia) are represented in an intricate design on this beautiful fabric from our Roman blind and curtain collection. … view more. We all know that Britain rules in the interior design stakes and at Style Studio we’re proud of our British heritage; many of our blinds are manufactured and retailed exclusively in the UK. Tourists travel for thousands of miles to take in the sights of our illustrious capital and it’s pretty tough to rival the unmistakable panorama of the big smoke’s skyline – so why not introduce the view into your home all year round with our London Cityscape design? Created as part of the BT Artbox project, Benjamin Shine reinvented the classic red telephone box by flipping it on its side, cutting it into a sofa shape, and adding matching red upholstery.… view more. As the average British home gets smaller, we all find ourselves looking for ways to save space without compromising on easy living. Little bedrooms are a tricky proposition as they need to be calm and tranquil while accommodating all of our clothes, shoes and accessories, plus spare bed linen and countless other items that we simply don’t have places for in the rest of the home. Storage is obviously paramount to solving this problem, but this needn’t mean stuffing huge items of furniture into the room – built-in systems that can be customised to suit you are widely available in any style.… view more. When decorating the first stumbling block is often whether to go all out with colour and create a vibrant, eye-catching scheme that’s an explosion of colour or whether to stick to a more neutral palette of whites, creams and greys for a more chic and refined look. So we’ve done the hard work for you and have put together our favourite schemes and brilliant buys to help you decide whether to be bold with brights or calm and collected with neutrals. 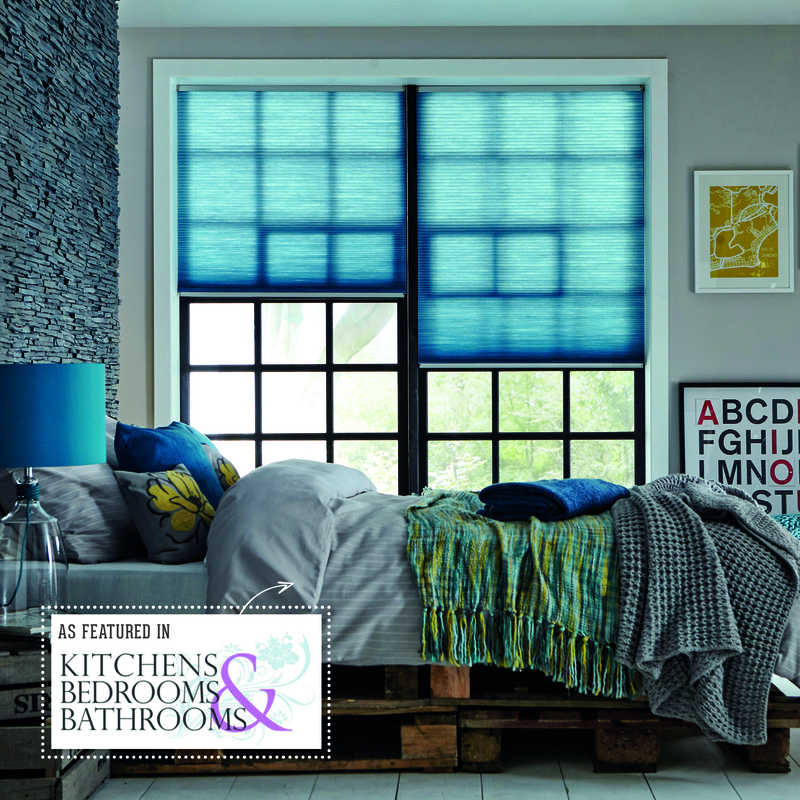 Change the mood with an inexpensive blind with a subtle use of colour. Sunny yellow tones complement a grey scheme brilliantly and warm the space instantly.… view more. For the final part of our series of Spring/Summer 2016 interior trend boards, we’re looking at how you can bring a tropical feel to your home. Exotic, dark and mysterious this trend plays with our ideas of indoors and outdoors bringing tropical, botanical inspiration into your interior. 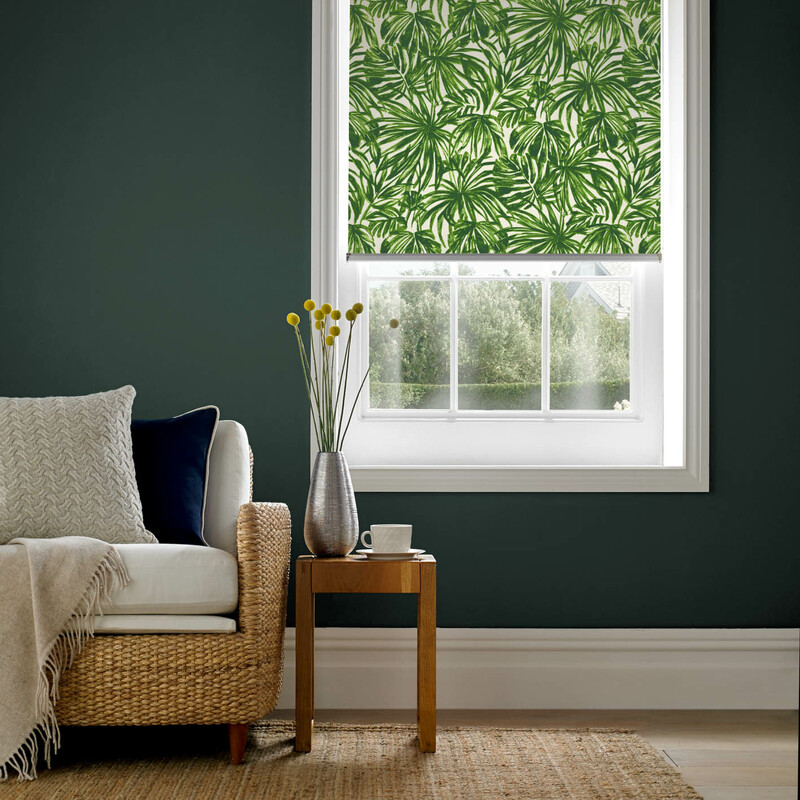 Inspiration is drawn from the forest canopy with large scale fern and palm motifs being used in expressive designs such as Tropics in Verde. This trend is ideal for those looking to create a feeling of exotic luxury and opulence, designs like Tropics can be used as the statement piece to base your interior around.… view more. As part of our series of Spring/Summer 2016 interior trend boards, we’re looking at how you can bring a rich and cultural look to your home. Artisan traveller is a celebratory trend; recreate a rich and diverse cultural look by choosing designs whose inspiration is drawn from all over the world. Highly decorative, this trend is a celebration of pattern! Designs such as Azzura and Casablanca have easily recognisable inspirational roots; geometrics from Morocco and Mexican patterns have influenced both these bold and stylised prints. Contrast pattern with plain in your interior and introduce flashes of fresh and zingy colours, Azzura Aqua could be easily partnered with shades of Sea Blue, Fresh Apple or Spring from Palette for a bright and lively Mediterranean feel.… view more. We have created some trend boards to help you with your Spring/Summer 2016 interiors. Working from our new Style Studio Roller & Vertical Collection you can create these looks at home. The key interior trends we have focused on are Classic Decoration, Artisan Traveller and Dark Botanics. These are our favourite trends for SS16. 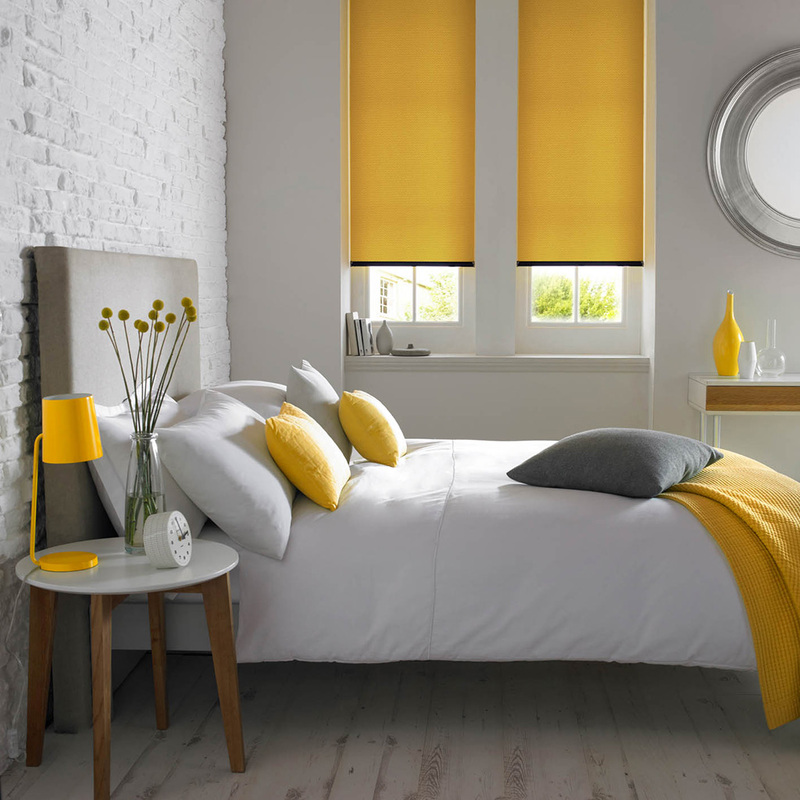 We have created trend boards so you can see our inspiration photos and how these relate to the blind fabrics we have created for you to use in your home. We will start to elaborate on each trend over the next few weeks so you can see which designs and fabrics work well throughout your home.… view more. Style Studio has been working closely with our interiors stylist to determine the top 3 colour schemes that will be adorning our homes in 2016.… view more.